Let’s be frank: if you’re wasting time queuing in the Post Office, when you could be enjoying lunch; wasting money on stamps, only to find them gathering dust in an employee’s desk; or missing deadlines, because you couldn’t get the task done within office hours, you need to source some mailroom equipment that will save you time and money. At Fuel Card Services, we make searching for a machine that’s right easier with the ‘Franking Machine’ benefit on our online portal My Business Advantage. If you’re not yet convinced you need a franking machine, let’s list the positives: a franking machine calculates the correct postage automatically, by weight, which includes the Royal Mail discounted cost for franking machine users. Insert envelope or label into the franking machines printer slot and your mail will be franked with the correct postage, date, even your company logo or message, and a unique code – at any time of the day, or night. 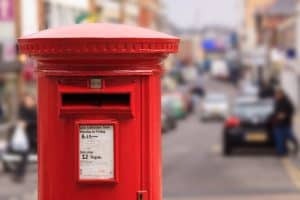 If you want a professional image with your post, and save money, click the ‘Franking Machine’ benefit, complete one form that informs our team about your business needs, and whether you wish to hire or buy, and receive up to four, free quotes from the main providers (Pitney Bowes, Neopost, FP Mailing Solutions and Frama). It will only take a minute, but imagine the positive impact of making that decision on your business administration and saving up to 33% on future postage costs! Visit www.mybusinessadvantage.co.uk and click on the ‘Franking Machine’ benefit.